Plenty of online tutorials will teach you how to piece together the nuts and bolts of a webpage, but there’s another aspect that’s typically glossed over: design. If you want to ramp your design game up a bit, Readymag now has free-to-use online design school. Readymag is a service that allows you to build your own website, and — like many others of its ilk — lets you to bypass the process of coding. In addition to websites, Readymag lets you create flashy online magazines, newsletters and portfolios, all with emphasis on design. The Design School is there for those who want to know more about design. 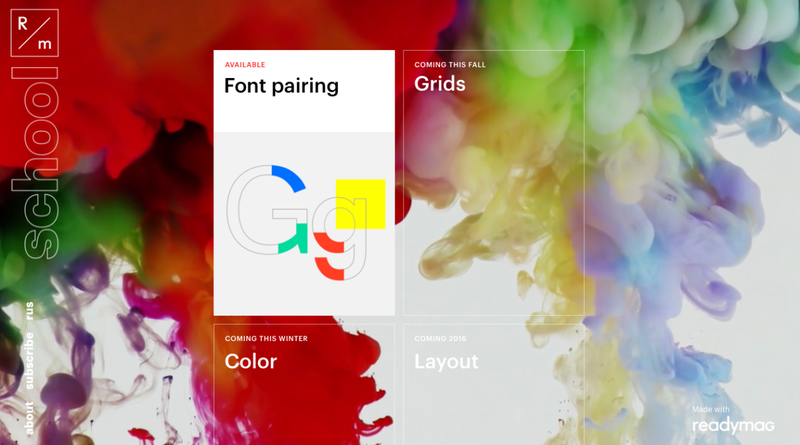 If you’re interested in learning the core principles of font pairing, grids, color or layout, you’ll want to check it out. Rather than approach Design School like traditional education, the team at Readymag tell me the concept was to make each topic more like a long-read. There is no pressure to complete testing or qualify what you’ve learned; Design School is more like a compendium of knowledge. So far, there are only the four lessons listed above, but Readymag will add more as time goes on.